Welcome to my kids Craft Recipes section. 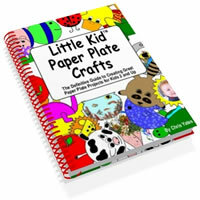 Here you'll find easy, fast kids craft recipes for arts and crafts. These recipes are inexpensive, and most are made with common household ingredients. 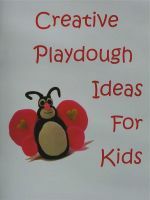 They make great learning activities for children. These paints can be used for making and coloring pictures on the inside of the tub during bath time. Mix detergent and cornstarch together in a small bowl until blended. Pour the mixture ,in equal parts, into several sections of a plastic ice cube tray. Add 1 to 2 drops of food coloring to each section of the tray and mix with a small spoon. You can color on the inside of the tub with these. Mix water, soap and food coloring together in a medium sized bowl. Stir the crayon mixture until it begins to stiffen. Remove the mixture from the bowl and knead until it is the consistency of a very thick dough. Spoon crayon mixture into plastic cookie cutters. Place the cookie cutters in the freezer for 10 minutes. Pop the crayons out of the cookie cutters and allow them to dry overnight or until hard. Mix shampoo with a small amount of water and beat with an electric mixer. The shampoo should become like shaving cream. If it is too thick, add more water. If it is too runny, add more shampoo. Stir cornstarch and cold cream until it's blended. Stir in water and food coloring. You can then paint with it on your child's face. Remove with soap and water. Store in an airtight container. Pour lemon juice into a small glass or plastic dish. Soak one end of the cotton swab in the lemon juice. Use the lemon juice soaked cotton swab to draw a picture or a secret message on a piece of paper. When you're ready to see your finished drawing, hold the sheet of paper near a light bulb or over a toaster. The heat source will slowly turn the lemon juice dark brown and reveal your drawing. Mix 1/2 cup water with 1/2 cup glue. In a separate container mix 1/2 cup water with the Borax. Now stir the Borax mixture while slowly adding the glue mixture. It should immediately come together to make slime. If it isn't quite right try adding more of the Borax and water. *Note* Borax should be handled only by adults wearing protective gloves. Mix water and food coloring together. Slowly add cornstarch. Do not stir. Let the mixture stand for 1 to 2 minutes. Pick up a handful of the oobleck and squeeze it until it forms a hard ball. Open your hand and the oobleck will turn from a solid ball back into a liquid. Mix all together in a large bowl. Instead of using dishwashing liquid I also use Baby Shampoo. This won't sting children's eyes if the bubbles splatter in their eyes. 1.Classic coat hanger wand:Bend a wire hanger into a circle and handle. Wrap the circle with string. Dipping container: Upside down trash can lid. 2.Giant Soap Bubble Wand:Use 2 drinking straws, and a length of string, about 48 inches long. Thread the string through both of the straws, and knot the ends. Lay the straws and string down in the soap solution. Gently lift up the straws, one in each hand. Spread the straws apart as you lift, and a giant bubble will form. Wave your arms across in the air and the bubble will be set free, to float up and away. Blow up a large balloon and tie it closed. Tie up the balloon somewhere from a height so its hanging down for you to work with. Cut old newspapers into strips and make the above paper mache paste mixture. Soak strips in mixture and apply them to the balloon like a plaster cast. Let one layer dry, then add another and let dry again. Repeat twice more. When the pinata is dry, burst the balloon, make an opening at the bottom and pour in small candies or trinkets or toys. Cover the bottom hole with duct tape and paint the pinata brightly. Insert ahook in the top and hang the pinata up. Give kids strong sticks to break it. Mix white glue, water and food coloring together well. Combine flour and cornstarch together in a separate bowl. Add the flour/cornstarch mixture to the water/glue mixture. Mix until a stiff dough is formed. Remove dough from bowl and knead on a floured surface for 2 to 3 minutes. Mold plastic dough on a surface covered with wax paper. Drying time varies depending on size of your creation. This is good for making beads and other jewellery. Use duct tape to cover one end of each toilet paper tube. Mix all ingredients and set aside for 5 minutes. Line a cookie sheet with wax paper or foil. Place tubes upright(open end up) on cookie sheet. Tape the tubes upright onto the wax paper or foil to make it steadier. Pour mixture into holders. Let sit until chalk mixture is almost firm. Rip off the toilet paper tubes and let the sidewalk chalk dry for about 2 more hours. Mix cornstarch and cold water together in a small bowl. Add food coloring and stir. Repeat this process to make different colors of paint. You can color larger areas of sidewalk more quickly with this paint than with the regular sidewalk chalk. Mix water, cornsyrup and vinegar together in a small saucepan until smooth. Heat mixture over medium heat until it reaches a rolling boil. In a small bowl mix cornstarch and cold water together. Slowly add this mixture to the first mixture. Stir until well blended. Remove saucepan from heat and allow the glue to cool. Let the glue set overnight before using. Store in an airtight container. Pour gelatin in a small glass bowl. Add hot water and stir until blended. Brush mixture onto the back of a small picture, drawing or magazine cut-out. Allow the sticker to set for 30 to 45 minutes or until dry. When you are ready to use your sticker, just wet the back and then stick it. Stir together baking soda and cornstarch in saucepan. Add water and cook over medium heat stirring constantly until mixture reaches consistency of moist mashed potatoes(approximately 6 to 10 minutes). If clay is cooked too long, finished crafts may crack. Remove mixture to plate and cover with damp cloth. When play clay is cool enough to handle, pat until smooth. If you find the clay crumbles when working with it, add a few drops of water at a time to soften. If you find clay sticks to the hard, smooth surface you're working on, use clay on wax paper. This is great for making and saving your child's hand or footprint impressions as a keepsake.